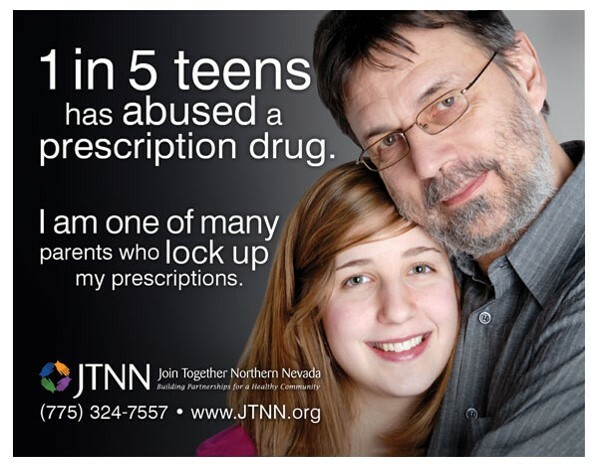 Topic: A statistic on teen prescription drug misuse is presented, along with an action step that parents can take. 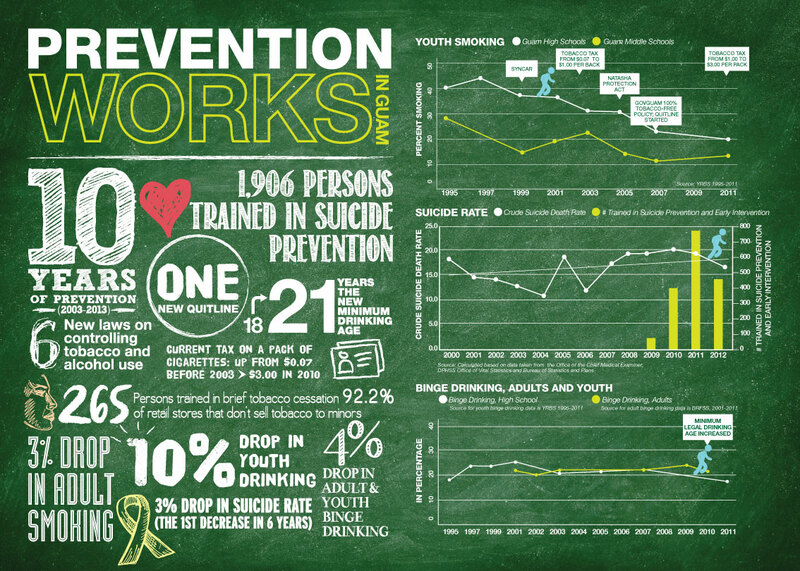 Topic: The infographic depicts trends over time in substance use and suicide, as well as information and data on prevention strategies implemented. 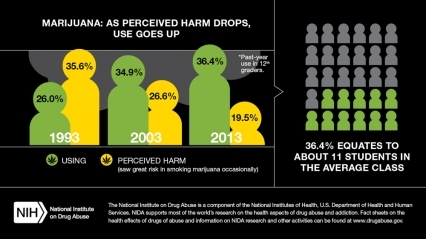 Topic: Data from the national Monitoring the Future survey are presented on youth marijuana use, and perceived risk of harm from smoking marijuana. 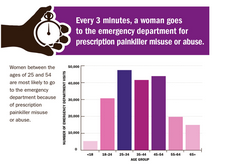 This infographic highlights the growing problem of prescription painkiller overdoses among women. Topic: National data on overdose deaths and emergency department visits among women are provided. 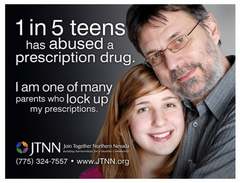 Interactive report cards on prescription drug abuse are available for each state. Topic: See how Minnesota scored on ten different steps to reduce prescription drug abuse, and view an interactive chart showing the state's drug overdose mortality rate. 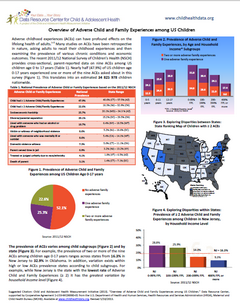 This 2 page brief provides national data on adverse childhood experiences (ACEs). Topic: Findings on ACEs from the 2011/12 National Survey of Children's Health are provided. Included are prevalence rates, state rankings, disparities, and associations between ACEs and protective factors. 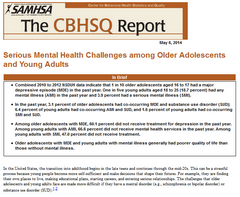 This short report provides national data on mental health among older adolescents and young adults. Topic: National Survey on Drug Use and Health (NSDUH) data from 2010 to 2012 on adolescent and young adult major depressive episodes, serious mental illness, and co-occurring mental illness and substance use disorders are provided. 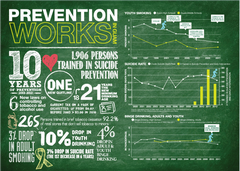 Data are also provided on risk and protective factors such as residential stability, education, and delinquency.